Borjan, which is known for its amazing shoes, released some nice clutches recently. Borjan clutches collection 2013 for women includes some nice clutches that you can carry with evening wear clothes. You can get clutches of different colors from this collection. All the clutches in Borjan clutches collection 2013 for women are stone-studded. Although the designs are a bit similar to each other, these clutches are all quite stylish. 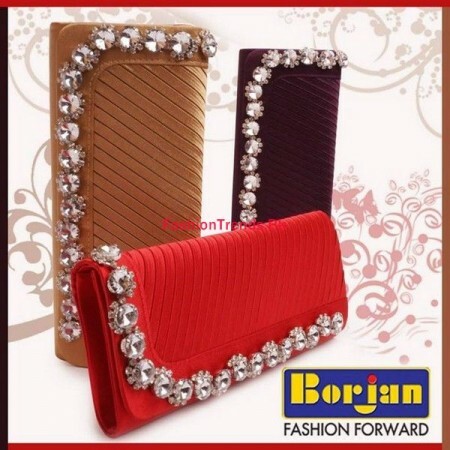 Overall, Borjan clutches collection 2013 for women has clutches that will be perfect for all those women, who want accessories with their formal and evening wear clothes. Borjan is a footwear brand that was founded many years back. It now has a great reputation for its footwear in Pakistan. It provides shoes for women and men. Also, it offers purses, handbags and clutches. For each season, the brand releases a new collection every season. For example, it released Borjan Shoes fall footwear collection 2013 for women about a month ago. The stylish shoes of Borjan are liked by many people. The shoes of Borjan also offer comfort, quality and class. Borjan provides its shoes for men and women and bags through its own outlets in Pakistan. There are outlets of Borjan in different locations of Pakistan. 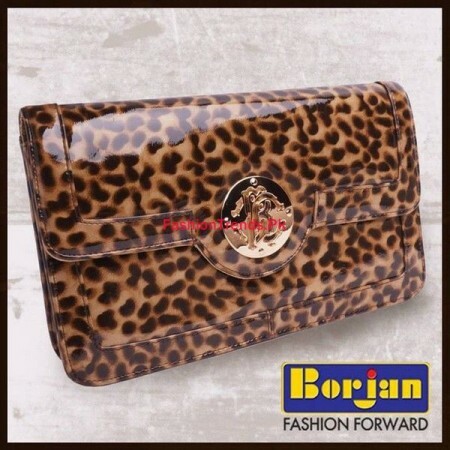 You can see pictures of Borjan Clutches collection 2013 for women below. If you like and want to buy clutches in Borjan clutches collection 2013 for women, go to any of the stores of Borjan Shoes near you. The outlets of Borjan are listed on the website of the page so that you can locate the nearest Borjan outlet easily. Other information is also given over there. The address of the website is given on the Facebook page of Borjan. The address of Borjan Facebook page is provided here. You can learn more about Borjan through it.